As bomb threats are going on in Chicago, the Intelligence Unit has Atwater undercover at a religious group. They're trying to get the leader of the group, suspecting that he's the one ordering the bombs. But after a bomb goes off, the intelligence meets with an old friend from Homeland security which ruins Voight's undercover when the Feds take Atwater, thinking that he worked with them and torched him for information. Halstead takes this case very personal from a point that he served in the army too. After meeting with someone who helped after the bombing; turns out to be the one that set off the attack. Halstead finally comes around when their suspect is caught on tape buying supplies to make a bomb. Holding the moss hostage with a bomb strapped to his body, Halstead goes in along and reasons with him but takes him down with a shot to the head. "Trigger" was an intense and thrilling episode. The story had solid character development for Halstead and not to mention another bonding partnership with Hailey too. Jesse Lee Soffer gives another strong performance. 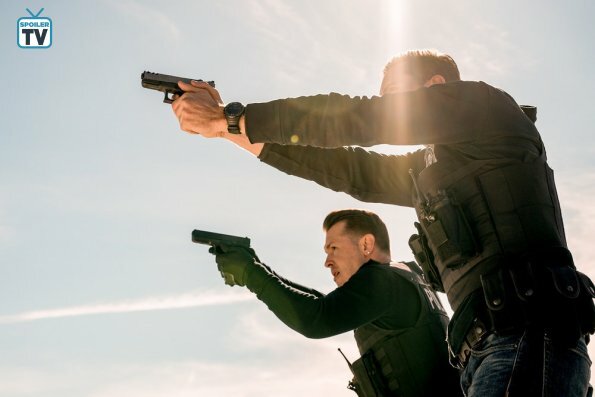 There were many moments in this episode from Halstead and Hailey to Voight and the Feds, but the moment between Atwater and the Fed agent torching him and Voight comes into a screaming match with one another. And not to mention Atwater telling that agent that this isn't over that they'll duke it out later. Overall, I give this episode a 9/10.